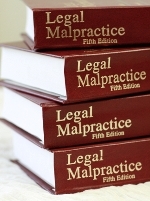 Daily Report Online reported that the U.S. Court of Appeals for the Eleventh Circuit resurrected legal malpractice and civil conspiracy claims against Miller & Martin, PLLC, a 130+ lawyer firm with offices throughout the southeast. The trial court had dismissed the claims, which were brought by an investment group to which the claims were assigned, as part of its settlement with a failed startup that Miller & Martin had represented. nValeo retained W. Scott McGinnis and R. Tyler Hand of Miller & Martin’s Chattanooga, TN office to represent it. Lucky Capital Management invested $500,000 for a 2% share of the company (a membership interest in the LLC). It was represented by its own counsel in the negotiations. In July, 2010, Ritchie asked Lucky for ‘accelerated funding’ for nValeo, and Lucky agreed to buy an additional 9% of the start-up for $2,000,000, payable in four installments of $500,000 each, which it made between July and December, 2010. This was memorialized in an amended investment agreement. The investment agreements limited the compensation of nValeo’s officers, and barred any of them from receiving a performance bonus without the unanimous consent of the board, to which Lucky had the right to appoint one member. The agreements also stated that nValeo had no financial track record, and that Lucky acknowledged that it was assuming “substantial investment risks” in purchasing the membership interests. Right after Lucky began investing in nValeo, Ritchie began withdrawing those funds, “for his own use”, i.e., $143,843 from 7/30/10 – 8/12/10, and $546,000 from 8/24/10 – 10/4/10. The law firm then drafted a “Line of Credit Note”, stating that Ritchie promises to pay nValeo the “unpaid principal amount of all advances” it makes to him, up to $2,000,000. Ritchie signed the note, and continued to withdraw the funds Lucky had invested in nValeo. In March 2011, Lucky reviewed nValeo’s financial records of nValeo for the first time, and saw Ritchie’s withdrawals, which Buddy Poole had recorded. Lucky confronted Ritchie about the withdrawals, and Ritchie admitted that he took over $800,000, and used at least part of the money for personal use. nValeo never brought a product to market, and went out of business. Lucky lost its entire investment. Lucky sued nValeo, Ritchie, Poole, and Miller & Martin and its attorneys in the 72nd District Court of Texas in 2011. In 2014, Lucky sued Miller & Martin in the U.S. District Court for the Northern District of Georgia, for legal malpractice, aiding and abetting a breach of fiduciary duty, procuring a breach of fiduciary duty, fraudulent concealment, civil conspiracy and statutory damages for bad faith. Miller & Martin filed a Motion to Dismiss all of Lucky’s claims. In 2015, the district court dismissed Lucky’s legal malpractice claim, holding it “ar[o]se out of an alleged fraud perpetrated on the assignor” and therefore was not assignable under O.C.G.A. § 44-12-24, and fraudulent concealment, civil conspiracy claims, and bad faith litigation claims, for failing to state a claim. However, the court allowed Lucky’s claims for aiding and abetting or procuring a breach of fiduciary duty to proceed, and discovery was conducted. Miller & Martin moved for summary judgment on those claims after discovery concluded, which the district court granted in 2016. Lucky appealed the dismissal, and in 3 – 0 ruling, the appeals court upheld the trial court’s dismissal of Lucky’s claims for fraudulent concealment and aiding and abetting a breach of fiduciary duty. However, it reinstated the other claims. “Lucky argues that nValeo’s claim was assignable because it is based not on Ritchie’s fraud on nValeo, but upon a claim that Miller & Martin was negligent in failing to report to nValeo Ritchie’s misappropriation of funds and in drafting a Promissory Note for Ritchie, which allegedly led Ritchie to believe that he could continue to misappropriate nValeo’s assets…. The case was presumably remanded to the trial court, for further proceedings on Lucky’s reinstated claims of legal malpractice and civil conspiracy. The ruling reversed a lower court ruling, and reinstated a potential class action that a former client filed against Kaufman, Englett & Lynd, PLLC, of Orlando, FL. The law firm dissolved in April 2016, after the suit was filed, as reported by The Orlando Sentinel, and two new firms were formed by the former partners. The dispute began when Loyd Cadwell contacted Kaufman, Englett & Lynd (KEL) in January 2016, about filing a bankruptcy petition. He signed a retainer agreement that called for payment of $1,700 in attorney fees: a $250 retainer payable immediately, a $250 installment payable shortly thereafter, and four monthly installments of $300 each. Cadwell alleges that KEL “instructed [him] to pay the initial retainer and all subsequent payments by credit card.” He charged the initial retainer and the next three installments on two credit cards. In 2016, Cadwell sued KEL in the US District Court for the Middle District of Florida, alleging that it violated the Bankruptcy Abuse Prevention and Consumer Protection Act of 2005 (BAPCPA), which amended the federal Bankruptcy Code to impose new requirements and prohibitions on professionals who prepare bankruptcy petitions. KEL also argued that BAPCA violates the First Amendment, because it “discriminates against the content of the attorney’s dialogue by precluding the attorney from advising the client to make payment by credit card for retainer fees, regardless of the reasoning”. U.S. District Judge Paul G. Byron granted the firm’s motion in 2017, ruling that the case should be dismissed, because Section 526(a)(4) of BAPCPA only prohibits advising a debtor to incur additional debt for an invalid purpose. “It is customary for bankruptcy attorneys to expect compensation for legal services provided to debtors in contemplation of bankruptcy. Thus, without more, the mere advice to use credit cards to pay for legal fees does not violate the BAPCPA.” As a result, Cadwell’s complaint failed to state a viable cause of action. The judge didn’t address KEL’s First Amendment claims, and denied Cadwell’s motion to certify the class as moot. On appeal, Cadwell contended that the district court erred in ruling that to prevail, he had to show that KEL had an invalid purpose for advising him to incur additional debt. KEL responded that the district court correctly interpreted the statute, and further, the statute violates the First Amendment. The appellate court ruled that the district court misinterpreted the law, finding that an attorney who advises his client to “incur more debt” by charging his legal fees on a credit card does violate the BAPCPA. It also rejected the law firm’s claim that Section 526(a)(4) violates the First Amendment, because it restricts attorney-client communication. the correct interpretation of Section 526(a)(4) is that it “prohibits advice “to incur more debt” either (1) “in contemplation of” a bankruptcy filing or (2) “to pay an attorney” for bankruptcy-related legal services. The court remanded the case back to the U.S. District Court. Editor’s note: this post was originally published on 09/07/2017. It has been updated to reflect further developments. Immigration law generates few malpractice claims, but Am Law 200 member Ogletree, Deakins, Nash, Smoak & Stewart incurred a big one when a jury awarded nearly $1.8 million to a former Emmy-award winning producer, who alleges that she lost her visa due to forgery by an Ogletree attorney. According to Daily Report Online, Karen Bass is a British citizen who was hired by National Geographic in 2011 to produce its “Wild Americas” TV series, and later promoted to vice president for natural history projects. Bass retained Attorney Brandi Knox, then with Littler Mendelson, to help her get the specialty visa, which had to be re-applied for annually. Knox obtained the visa in 2011, and Bass retained Knox to renew it when the attorney moved to Ogletree in 2012. Knox obtained the visa for Bass in 2012, 2013, and 2014, submitting a petition packet each year that purportedly included the signature of Megan Edwards, National Geographic’s General Counsel. However after the petition was approved in 2014, the State Department’s Kentucky Consular Center, which oversees petition-based visas, contacted Edwards to clarify employer information on Bass’ petition. Edwards told the State Department that the signatures on Bass’ application and renewal forms were not hers, and she had not authorized anyone to sign for her. National Geographic fired Bass shortly thereafter, in October, 2014, and her 0-1B visa was taken away. Bass filed a four-count complaint – case# 16EV005327 – against Knox and Olgeltree in Fulton County (GA) State Court on 11/7/16, alleging legal malpractice, breach of fiduciary duty, negligent misrepresentation, and fraud. She sought compensatory and punitive damages. The Ogletree firm and attorney Knox, who according to her linkedin profile, left the firm for Nelson Mullins Riley & Scarborough in September, 2016, are being represented by Carlock, Copeland & Stair. The firm filed a Motion for Summary Judgment on 11/10/17, but it was denied. The parties were unable to settle the matter, so a jury trial, which took seven days, was held in March, 2018. Litigation Daily reported that Plaintiff’s counsel, Linley Jones, argued that Karen Bass lost her job with National Geographic because of “falsehood and forgery”, as well as a lack of oversight by Knox’s superiors at Ogletree, which did “real damage,” costing Bass not only her National Geographic job, but also other projects. “Some projects never got made,” said Jones, and National Geographic has still not rehired her, although she is well regarded there. Jones asked the jury to award Bass award compensatory damages of more than $3 million, plus punitive damages. Litigation Daily reported that Ogletree’s lead defense counsel, Joe Kingma, told the jury that Attorney Knox had made “mistakes”, and the firm was willing to pay Karen Bass ”reasonable” damages for several months when she was unable to get a visa and out of work, as well as for her “aggravation”. However, he argued that Bass shouldn’t receive a windfall of millions of dollars for Knox’s mistakes. Knox simply signed the petition on Edwards’ behalf and filed it. After moving to Ogletree, she continued to sign Edwards’ name for the next three years when the visa had to be renewed. He also argued that National Geographic was undergoing serious financial difficulties between 2012 and 2015, including three separate layoffs, and had indicated to Bass—one of its higher-paid employees—that she may be let go. The defense also challenged Bass’ damage claims, arguing that she has worked for other outlets since leaving National Geographic, and that her reputation was apparently unharmed, as she has since won an Emmy award and been inducted into Britain’s Royal Geographical Society. Defense counsel suggested an award of 84,298 British pounds (Bass’s salary was paid in pounds) – about $118,856 at the current exchange rate – for Bass’ lost wages, and $50,000 for her aggravation. The jury awarded Bass $565,000 in general damages and 499,000 pounds for past and future lost wages – about $706,700 at the current exchange rate – plus $550,000 in attorney fees and unspecified punitive damages, which turned out be $125,000, following a separate trial on March 23rd. The jury apportioned 2 percent of the liability to Bass. Plaintiff’s counsel said she also will seek about $250,000 in post-judgment interest, because the defendants turned down an offer to settle the case. Texas Lawyer reported that a U.S. District Judge ordered a Texas attorney to pay $2.9 million to a client, for failing to disclose his relationship with the judge who was presiding over the client’s case. The Law Funder, LLC, which is based in New York City, and according to its Bloomberg profile, “advances funds for motor vehicle accidents, slip and falls, products liability, discrimination/wrongful termination,…and commercial litigation”, hired sole practitioner Sergio Muñoz Jr., who is also a member of the Texas House of Representatives, representing District 36, to represent it in a divorce proceeding in which it claimed an interest in a Mexican law firm that was part of the division of assets. Law Funder alleged that Muñoz failed to disclose that he used to be a partner in the law firm of Contreras & Munoz, with Jesses Contreras, the judge hearing the matter. Law Funder sued Munoz and his firm in December, 2014 in US District Court, Southern District of Texas, claiming that it wouldn’t have hired him, if it had known of his prior relationship with Contreras. Munoz answered the suit, but Judge Alvarez granted a default judgment to Law Funder in February, 2017, ruling that he had delayed the case by refusing to cooperate in the discovery process, and that Law Funder had presented enough evidence to prove that Muñoz committed legal malpractice by failing to disclose his relationship with Contreras. “The existence of defendants’ corporate association with Judge Contreras thus created a duty for the defendants to be honest with plaintiff from the beginning about this relationship, so plaintiff could make an informed decision about whether or not to retain defendants as counsel of record,”. The judge also decided that Law Funder had sufficiently pled actual damages that Muñoz’s business relationship with Contreras led to Contreras’ disqualification, reversing years of litigation that cost Law Funder over a million dollars. According to PACER’s summary of the docket (reg. req’d. ), a bench trial on damages was held on 9/12/17. Defendants demanded a jury trial on damages, but the court denied it, based on precedential case law holding that defaulting defendants have no Constitutional right to a jury trial. Law Funder then presented its case, submitting exhibits and examining three witnesses, whom Defendant cross-examined. DONE at McAllen, Texas, this 29th day of September, 2017. Munoz subsequently filed a Motion for Relief From Judgment, which Law Funder opposed, then a Notice of Appeal, and then a Motion for a New Trial. The Law Funder, LLC v. Munoz, Jr. et al, Case Number: 7:14-cv-00981. Editor’s note: this post was originally published on 10/24/2016. It has been updated to reflect further developments. Law360 reported that the Texas Supreme Court affirmed an appeals court’s dismissal of a legal malpractice claim against Am Law 200 member Andrews Kurth Kenyon LLP, whose clients incurred a $3 million judgment in a suit filed by the sellers of a home health care agency that they purchased. According to the appeals court’s decision and a synopsis of the malpractice complaint, entitled Rogers v. Zanetti, James Rogers hired Andrews Kurth attorney Victor Zanetti to represent him in his acquisition of 80% of Accent Home Health from its owners, Daniel and Leslie Alexander. After the deal concluded, Rogers was added as a signatory to Accent’s bank account, and opened new bank accounts for Accent. Further, his colleague and co-plaintiff, William Burmeisterer, handled Accent’s accounts payable. A dispute soon arose between Rogers/Burmeister and the Alexanders, who alleged that Rogers had misallocated funds from Accent’s bank account. The Alexanders sued to void the Investment Agreement as unconscionable, unenforceable, illusory and void, and also brought claims for fraud and breach of fiduciary duty. Rogers/Burmeister asked Attorney Zanetti to refer them to a lawyer to defend them; he recommended his colleague, Charles Perry, of Andrews Kurth, who accepted the case. The matter was tried in 2004. The jury found that the Rogers/Burmeister defendants had committed fraud and breached their fiduciary duties, and awarded the Alexanders over $3 million in damages. Further, the trial court ruled that the Investment Agreement was void. The defendants appealed the judgment, and the Dallas 5th Court of Appeals affirmed. Texas Lawyer reported that in 2012 – eight years after the trial – the Rogers/Burmeister defendants sued Andrews Kurth, and attorneys Zanetti and Perry for negligence and breach of fiduciary. Their counsel stated that his clients had paid the Alexanders’ about $100,000 of the judgment, which by then had increased to about $5 million. Perry didn’t hire an expert to counter the Alexanders’ expert’s valuation of their business, and thus failed to rebut their damages claim. Rogers/Burmeister seemed to believe that this was their strongest claim. “he sent a settlement demand to (Rogers/ Burmeister) soon after the (Alexanders)… filed (suit) and got no response. The record contains the settlement offer itself, which was dated August 6, 2003. The Alexanders offered to let Rogers continue using the Accent name and to execute mutual releases of all claims if Rogers paid them $450,000…Marketos said the demand was a “starting point,” but he could not remember how much authority he had to go below $450,000. The trial court granted the motion. Plaintiffs appealed, and the Fifth Court of Appeals upheld the lower court’s dismissal in June, 2015. Rogers/Burmeister appealed the dismissal to the Supreme Court, arguing that the lower courts erred by applying the “but for” legal malpractice causation evidence standard to their claims. 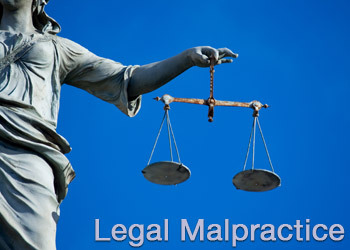 That standard requires that plaintiffs prove that they would have prevailed at trial “but for” their attorney’s alleged legal malpractice. Instead, plaintiffs argued that their claims should have been evaluated on the basis of whether the Andrew Kurth defendants’ alleged wrongdoing was a substantial factor in bringing about their complained-of injuries — not the “case within a case” test that asks whether the clients would have prevailed “but for” the firm’s alleged errors. According to Texas Lawyer, Rogers/Burmeister’s lawyer said the review of the case — and whether the “but for” legal malpractice causation evidence should be applied to it — is important. “The standard that should have been applied is the substantial factor causation test. It means I don’t have to prove I would have won this case, but the lawyer’s negligence was substantial in causing some quantifiable harm…Had the trial court and the Dallas Court of Appeals applied the correct standard, there is absolutely no question that this case should have been decided by a jury and not a court in a one-page order,” he said. The Supreme Court accepted the case for review, and scheduled oral argument for Jan. 11, 2017. Texas Lawyer reported Andrews Kurth argued in its Supreme Court brief, that its former clients reliance on the “substantial factor” causation standard should fail, and their alleged damages due to the lost settlement opportunity are “sheer speculation”. Further, because the investment agreement at issue was procured by fraud perpetrated by Rogers, one of the plaintiffs, and any negligence in drafting a contract is irrelevant if a party’s intentional fraud voids it. Andrews Kurth reiterated during oral argument before the Supreme Court that Rogers/Burmeister presented no proof that they would’ve accepted the Alexanders’ settlement offer, or had the money to pay it. Thus, even if Andrews Kurth had breached its duty by not relaying the settlement offer, the plaintiffs didn’t prove that the case would’ve settled. The court concluded that the lower court had correctly pointed out there was no evidence in the record that Rogers could have paid the $450,000, or that the case would have settled for that amount. “The bottom line is this is a big victory for careless lawyers whose clear mistakes have harmed their clients at the expense of people who depend on lawyers for fair and honest legal services,” he said. About the author: Curtis Cooper is Managing Principal of Lawyers Insurance Group, a legal malpractice insurance brokerage, whose mission is to obtain the best terms that are available in the market for every law firm. Apply on-line to obtain no-cost, no-obligation quotes from “A+”-rated insurers. National Law Journal reported that Kasowitz Benson Torres, best known for name partner Marc Kasowitz’s representation of Donald Trump, has been sued by a corporate client for billing fraud, after the firm sued the client for over $1 million in unpaid fees. Patriot National, Inc., which is publicly-traded, and claims to be “one of the largest private employers in Broward County”, Florida, provides back-office functions to insurance companies. It hired the Kasowitz firm in 2016 to defend it against three federal court suits pertaining to stock sales. The firm also represented some of Patriot’s defendant directors in a shareholder derivative case in Delaware state court. However, in February, 2017, Patriot informed Kasowitz Benson that it was going to hire different counsel, which would be approved by its insurance carrier, so that it could be reimbursed for attorney fees. The Kasowitz firm had never sought such approval. The firm claims that it began working with new counsel, but also informed Patriot that it had placed a lien on the file for the federal court actions, because Patriot still owed it about $1 million for work it did in December 2016. Kasowitz Benson also stated that it had never agreed to condition payment for its services on an insurer’s reimbursement. Patriot then paid that bill, and Kasowitz Benson waived its retaining lien and turned over its file, relying on Patriot to pay its remaining bills, which totaled $1.097 million. However, Patriot didn’t pay, so Kasowitz Benson filed a collection lawsuit against it in May, 2017 for the $1.097 million. The fee suit stated that its work for Patriot included opposing applications for temporary restraining orders and preliminary injunctions, conducting expedited discovery and reviewing tens of thousands of documents. Patriot countered by filing a suit against Kasowitz Benson on 6/30/17 in Broward County, Florida, alleging fraud, malpractice, breach of fiduciary duty, and breach of contract. It seeks “recoupment” of “approximately $2 million” that it paid the firm, plus expenses and damages. Kasowitz Benson spent “an inordinate and unreasonable amount of time researching basic hornbook legal principles” and drafting affirmative defenses that “were stricken in large part by the court…as being factually and legally deficient”, which prejudiced Patriot. The firm billed more than 83 hours to assemble binders. “One Kasowitz biller would routinely bill…for hours beyond that which is possible”, for example, “272.8 hours over a 17-day period (an average of 16 hours per day)”. Patriot accuses Kasowitz of “fraud, greed, extortion and other blatant misconduct”, which “represents everything that is wrong with the legal profession”. The Connecticut Law Tribune reported that a jury ruled in favor of the mother of a deceased young man, who sued the estate of the attorney who allegedly mishandled her son’s medical malpractice claim. Peter Gonzalez, 25, sought medical attention from Med-Help, a walk-in center based in Bristol, CT in July, 2010. He later was admitted to Bristol Hospital, and died from complications of a perforated appendix that had been left untreated. His mother, Tina Gonzalez, retained Enfield, CT attorney David E. Marmelstein to file a medical malpractice claim, even though Marmelstein reportedly had little, if any experience handling such matters. 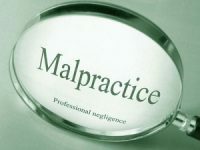 Marmelstein allegedly “failed to timely and properly investigate and prepare the medical negligence claim to comply with Connecticut legal requirements.” As a result, the two-year statute of limitation expired before suit was filed. Marmelstein died of a heart attack in October 2013, about 14 months after the statute of limitations expired. Tina Gonzalez sued Marmelstein’s estate in Hartford Superior Court. A six-person jury deliberated for two hours, before finding in her favor. She and Marmelstein’s estate had reached a confidential settlement agreement prior to trial, payment of which was presumably contingent on the jury ruling in her favor. It’s not known if Marmelstein had a legal malpractice insurance policy that defended and indemnified his estate for this matter. He added that the jury agreed that Gonzalez would’ve won the medical malpractice case, if it went to trial, and that Marmelstein was at fault for not filing a claim prior to the statute of limitations expiring. Risk Management Rule #1 for every attorney should be “don’t dabble” in cases that are outside of your area of expertise. This is especially true for litigated matters like this one, because it’s easy to miss an SOL, as happened here, or commit another error, due to lack of understanding of the relevant rules of civil procedure. The Lawyer.com profile of attorney David E. Marmelstein of Enfield, CT, who’s likely the same attorney that handled this matter, lists his practice areas as Construction, Consumer Protection, Environmental Law, Mental Health, and Land Use & Zoning. Every attorney should recognize his or her limitations, and refer matters outside of their expertise to local counsel who’s competent in such matters. Such counsel will often pay a referral fee, especially for matters like this one, where the damages are significant. Referral is thus in the best interests of the referring attorney and the client. Daily Business Review reported that a former client is suing Am Law 200 member Carlton Fields Jorden Burt, LLP and two of its attorneys, for legal malpractice over a failed $25 million land deal. Real estate investor 276 Port L.P., sought to buy an 8.5-acre parcel of land in Fort Lauderdale, several minutes from Fort Lauderdale International Airport. The property was encumbered by five ground leases with a remaining term of about 40 years. The leaseholder was interested in selling the leases, but Port believed “certain perceived defaults” would allow it to terminate them, including the leaseholder’s removal of a motel and other structures, and failure to post surety bonds. The parties agreed on a purchase price of $25 million. Port put down a deposit of $200,000, which would become non-refundable after the 60-day due diligence period expired. According to court filings, “the $25 million purchase price for the property was premised on the assumption that the leases were in default or would be in default at some future time and could be terminated.” If the leases stayed in place, the $25 million price tag would have “been excessive and unjustified”. Port retained Carlton Fields and its attorneys Gross and Steinman in April, 2016, to work on the deal, including “Review and analyze ground leases for potential defaults and develop strategy for resolving same including possible litigation…”, according to the engagement letter between the parties. The firm charged $595 per hour with a $10,000 retainer. Port said it relied on that opinion, but it turned out be erroneous, which caused it to lose its deposit, when the deal didn’t close. Port’s complaint alleges negligence and breach of fiduciary duty against Carlton Fields, Gross and Steinman, and negligent misrepresentation against Carlton Fields and Gross. “The Carlton Fields Opinion Letter was erroneous. Carlton Fields failed to reasonably investigate the facts and failed to research and analyze the relevant law. -The alleged defaults occurred in 2007 and 2008. Any claims of default under the Leases would be barred by the 5-year statute of limitations, waiver and estoppel. Carlton Fields filed an answer alleging that Port had contributory/comparative negligence for its damages, failed to mitigate its damages, etc. It also filed a counterclaim for breach of contract, alleging that Port failed to pay its invoices, which according to Port totaled at least $96,311, and asked the court to award compensatory damages, pre- and post-judgment interest, reasonable costs and other relief. The ‘publicity’ counsel referred to was an information package that Port sent to potential investors, which included the Carlton Fields Opinion. Boies, Schiller & Flexner, which was counsel for the ground lease tenant NAP 17th Street, obtained it, and advised Carlton Fields that NAP 17th Street would sue for slander of title if Port or JDM (the property seller) asserted that the leases were in default or tried to cancel them. If Port’s allegations are true, then attorney Gross should’ve concluded that the ground leases couldn’t be terminated. Despite that, the firm appears to have a good contributory negligence claim, as Gross’ letter stating “We believe that the likelihood of prevailing on some of these claims, at least in connection with terminating the ground leases, would be greater than 50%”, while incorrect, was hardly a ringing endorsement, let alone a guarantee of victory. Also, Port’s hard damages appear to be limited to its lost deposit of $200,000 and the fees it (presumably) paid Berger Singerman. Assuming the total is $250,000 or less, it’s likely within Carlton Fields’ malpractice insurance deductible or self-insured retention. All of these factors should encourage a settlement of this matter, before litigation expenses mount.